Mrs. Knapp is in her 19th year of teaching. She has been at Heritage since it opened in 2002. Prior to that, she taught at Stone Bridge High School. This school year Mrs. Knapp is teaching Advanced Placement Human Geography, Advanced Placement United States Government and Politics with Advanced Placement Comparative Government and Politics, and Dual Enrollment United States Government I and II. 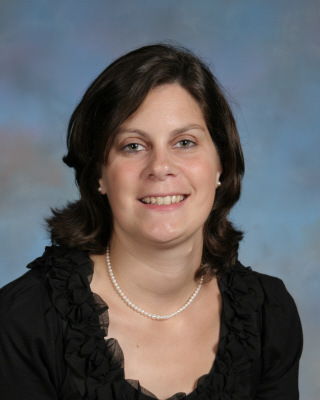 Mrs. Knapp has also taught United States History, World History I, World History II, and United States Government. Mrs. Knapp is originally from New York and is an avid New York Yankees fan. She graduated from The George Washington University with a Bachelor of Arts degree in Political Science with a concentration in American Public Policy. While in college, Mrs. Knapp interned at the following places: the White House, a presidential campaign, and for the State Department at the United Nations in New York. After graduating from college, she worked as an assistant to a professor at a research institute. Mrs. Knapp earned her Masters of Secondary Education degree from Marymount University as well as her social science teaching certification. Currently, Mrs. Knapp is enrolled in a Political Science Masters program at American Public University. Click on the link below to take you to all Heritage Vision Courses; you can then use the search bar to type in the teacher's name to find their course(s).